Secret City’s Season 1 introduced its audiences to the “Deep State” in Australian politics. 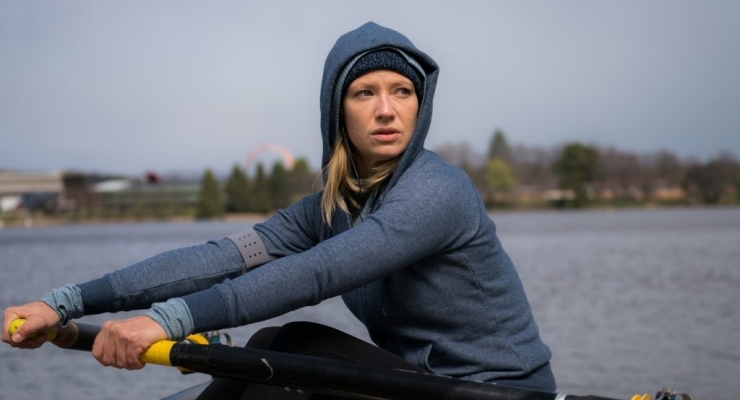 Season 2 offers several new interwoven storylines beginning with that of former Daily Nation journalist Harriet “Harri” Dunkley (Anna Torv) who has just been released from Maconochie Prison for violating the “Safer Australia” Act. Mina Almasi (Louisa Mignone) a Pakistani emigre and Harriet’s cellmate, is also released after taking the rap for her husband Sami’s (Robert Rabiah) illegal arms trade. Mina’s family in Pakistan was killed by a missile strike that she attributes to the Australian government after reading a heavily redacted document signed by Minister for Home Affairs Catriona Bailey (Jacki Weaver). When Bailey is found murdered, Mina becomes a prime suspect and there is a Parliament lock-down by Prime Minister Ewan Garrity (Don Hany). Then there is drone pilot Caroline Treloar (Laura Gordon) suffering from PTSD and deep-seated guilt about the innocent civilians that her missile strikes have killed in pursuit of “high value” targets during the covert “Pale Horse” operation. Caroline becomes a fugitive who harbors military secrets that put a target on her back for the rest of the series. An explosion in Davoren Park kills an Adelaide family, the Lamberts, and the government spokespersons announce that it was caused by a faulty gas line. Harriet gets hired as senior media advisor by Independent MP Karen Koutoufides (Danielle Cormack) who represents this district and she finds that the late Bailey contacted Lieutenant Joseph Sullivan (Rob Collins), Caroline’s estranged husband, and Air Chief Marshall Wesley Lockwood (Andrew McFarlane) just before she died. A video made by the Lamberts’ neighbor confirms that the Davoren Park explosion was actually caused by a missile strike and when television host Ludie Sypek (Sacha Horler) airs it on her show, the government’s cover-up story is destroyed. Acting Minister for Home Affairs Jim Hellier (Joel Tobeck) goes public with Pale Horse, hoping that the missile strike will be seen as a tragic system failure. Mina has been arrested for Catriona Bailey’s murder but there is mounting evidence that Bailey may have passed military secrets to the Chinese government and that her murder may have been an inside government hit. The tangled government web adds more strands as Intelligence agent William Vaughn’s (Justin Smith) wife Major Helen Wu (Renee Lim) supplies arms to Sami in exchange for huge sums to settle her gambling debts. If this were not enough, Alex Berezin (Tom Wren) runs the Vanguard energy corporation that is looking for a new site in Australia and, coincidentally, its parent company is the drone-maker Trebuchet whose South East Asia CEO Michael Lavelle (Michael Denkha) shows the cabinet drone flight data suggesting it was hacked by the Pakistani secret service. Caroline has found her drone’s data archive and insists that Harriet help her get a face-to-face meeting with Garrity. Will there be war between Australia and Pakistan or will the truth will out? Secret City: Season 2 literally bolts its way to a dramatic finish that will keep viewers on edge until the end credits roll. As good as the first season of Secret City was, this latest installment is even better and compares favorably with the likes of shows by Jack Clancy and John le Carre. Creators Steve Lewis and Chris Uhlmann have created a complex world of political intrigue in which the military-industrialist complex appears to be calling most of the government’s major shots. Some of Australia’s best television actors create credible characters whose secrets could have fueled today’s international headlines and the two directors, Daniel Nettheim and Tony Krawitz deftly put them through their paces. As an added bonus, there are stunning shots of Australia’s major cities and scenic countryside that will make some viewers want to book a trip to the Down Under. I hope that we will get a Season 3 as this show is as good as political thrillers get. Highly recommended. 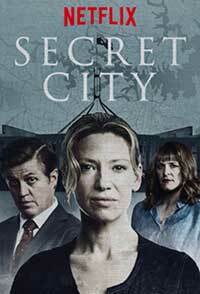 Secret City: Season 2 surpasses the first installment with a tantalizing tale of political intrigue in the "Deep State" that works behind the scenes of the Australian government at the bidding of the military-industrial complex. A superb cast, great direction, and gorgeous location scenes make this another Netflix Original winner.